Literally translated, the word aria means air in Italian, but it is often referenced as a lyrical, playful section of music as well. All of these terms apply rather nicely to Regas latest phono stage of the same name. $1,495 is a tough price point; there’s not only a fair amount of competition, but we’re well beyond “budget analog.” Spending this kind of money means you’re indeed getting serious about how your record collection sounds. Jean-Michel Jarre’s mid-80s techno classic Zoolook begins the first serious listening session, with the second track, “Diva” and I’m immediately drawn in to the analog magic going on here, with water droplets sounding as if they are running down the back of the listening room wall, while Laurie Anderson’s trippy, back tracked vocals, bounce between the speakers with a sinister breathing layered over some equally dark synthesizer riffs. The first couple thousand dollars spent in each aspect of the analog reproduction change (cartridge, turntable and phonostage) occupies the straight up portion of the performance curve, with every few hundred additional dollars budgeted bringing major increases in musical revelation. Like all Rega electronics, the Aria does not need extended break in. It sounds great right out of the box, and stabilizes fully after a few days of constant play. Being that it uses precious little power, leaving it powered up 24/7 allows it to fully stabilize electrically and thermally, offering the best sound. Building on the past success of Rega’s IOS phonostage, (reviewed in issue 36) the Aria uses a discrete, FET design – no op amps here. 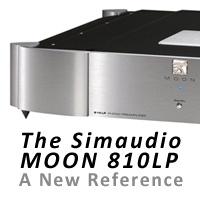 There’s a definite clarity that this phono stage brings that is immediately noticeable, and I must admit user bias; there are precious few op amp based phonostages that don’t have a fair amount of glare and haze in the presentation. Fortunately, the Aria sidesteps this problem with its discrete design. 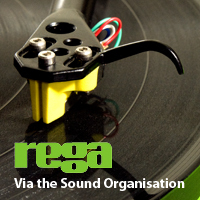 As with so many other Rega products, the Aria takes a unique approach, offering completely separate moving magnet and moving coil sections, rather than relying on adding a transformer or additional gain stage to the MM stage for MC duty. This adds some flexibility to its use, allowing it to be used with two turntables, a wonderful option for the serious analog enthusiast. 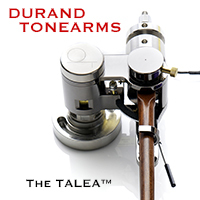 While much of my listening was done with the Rega RP6 and RP8 turntables, featuring Rega Exact and Apheta cartridges, the AVID Ingenium, with two tonearms was called into play to explore a number of additional cartridge options, thanks in part to the easily swappable headshells on the Ortofon TA-110 tonearm. However if you were going for an all Rega system, An RP8/Apheta and an RP3/Exact would be a great pair of tables to match up with the Aria. 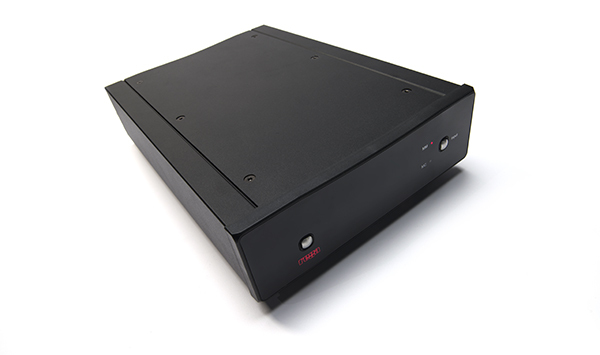 The compact physical size of the Aria is unobtrusive, keeping the same form factor as Rega’s current Brio-R integrated amplifier, Apollo-R CD Player and DAC. 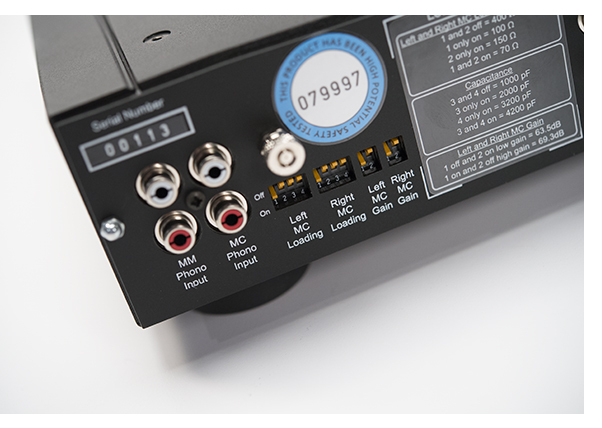 The rear panel has two pairs of RCA input jacks, one for MM and one for MC phono, with a pair of RCA output jacks to connect to the rest of your system. 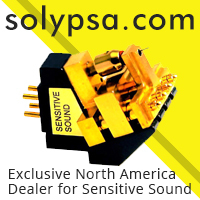 After trying almost a dozen different phono cartridges, from the $295 Rega Elys 2, all the way up to the $15,000 Clearaudio Goldfinger Statment, the only cartridge in my collection that was not an excellent match was the Grado Signature 1. This is a moving iron cartridge, requiring a 47k load impedance, but only having an output of .5mv, needed more gain to really rock the house. At $3,000, this cartridge will probably not be the first choice for an Aria user, but there are a wide range of lower priced Grados with .5mv output. And should you possess one of these, the Aria will not be a stellar performer. 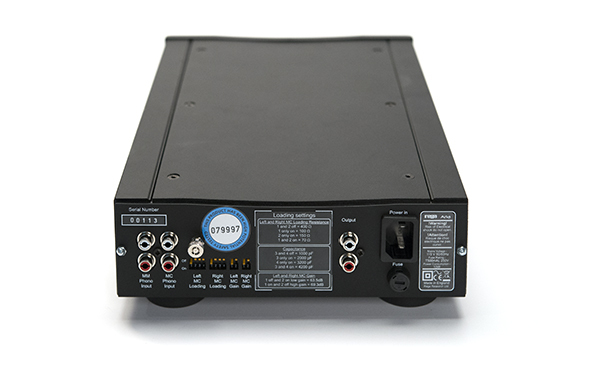 Anything else with a .3 – .6mv output, requiring loading of 70 -400 ohms should work just fine. The 70 ohm setting is perfect for use with Regas top of the line ($1,795) Apheta, which in our experience has always offered the best balance of high frequency extension without sounding strident at a lower impedance loading. The Aria reveals enough music to be a great place to begin your journey with the Apheta (especially considering that Rega’s US distributor, the Sound Organisation makes a very sweet deal when combining the Apheta with their upper end tables, the RP8 and RP10). Highly musical combinations were also found with the Denon 103, Lyra Delos, and Ortofon 2M Black cartridges, providing high performance without emptying your wallet, and I would consider one of these or Rega’s Exact 2 ($595) to be the sweet spot for this phonostage. 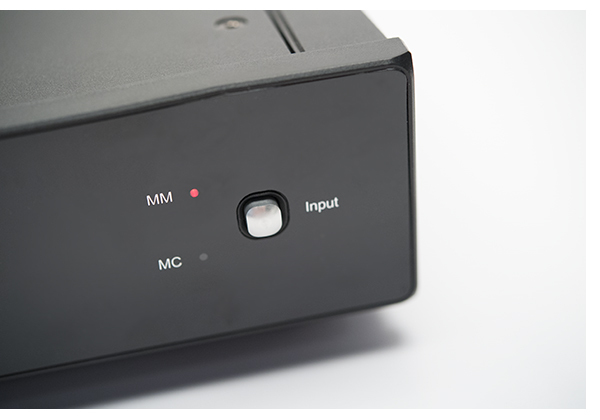 Gain, loading and MC capacitance can be easily set via multiple DIP switches on the back panel, so you can change cartridge setup easily. Just like the IOS, the Aria is incredibly quiet, a boon of all solid-state designs. Listening to “Solea” from Miles Davis Sketches of Spain, on the recent MoFi remaster is a joy. Davis’ horn begins the track slowly, and languishes throughout, with gentle drumming and cymbal work that floats throughout the soundstage. All of the budget phono stages we’ve auditioned (except for the Lounge LCR) seems to flatten this piece into a two dimensional soundstage with precious little depth, yet the Aria brings life to the mix. The Aria also excels in terms of dynamics – Davis’ explosive playing always a great trial for any analog components ability to follow musical transients quickly and cleanly. An equally pleasant effect is produced with Jim James banjo playing at the beginning of “Love You To,” from his Tribute To EP. This somewhat processed recording has a ton of echo and space that really opens up and breathes via the Aria. Extended listening with a variety of cartridges further underlines the resolution available, and the Aria’s ability to discern the difference between the warmth of the Denon cartridge, versus the more tonally neutral Ortofon cartridges. Yet when asked to rock, the Aria delivers. Keith Richards Talk is Cheap album is not a terribly well recorded rock record, coming across as somewhat flat and compressed, yet the Aria renders good separation between Richards grungy guitar and gravely voice, giving each plenty of space for the listener to enjoy. The rumbling bass line in Lyle Lovett’s “She’s Already Made Up Her Mind” has the necessary weight to carry the track. Alternatively, the synth bass in RUN DMC’s “It’s Not Funny” manages substantial growl, while the opening bass riff in Rickie Lee Jones’ “Easy Money” (from the new MoFi 45 rpm remaster) proves that the Aria captures weight and finesse in the lower register. Many will argue the case for a vacuum tube phono stage, because of their more organic presentation, but precious few at this price are well designed enough to offer quiet and control, offering warmth as an alternative. The Aria will never be mistaken for a tubed phono pre, but it always tonally neutral without sounding clinical, and for my money, I’d rather add a touch of warmth in the phono cartridge and retain the level of resolution and quiet that this phonostage offers. As the performance curve continues straight up to the 10k range, comparing the Aria to phonostages costing twice as much is a pointless comparison, but compared to the others we’ve heard in the $1,200 – $1,500 range, it is solidly at the top of the heap, offering a stunningly quiet and highly musical presentation, without any fuss or muss. Plug it in, turn it on and play records. It’s that easy. And the fact that you can plug a second table in is a big bonus. Highly recommended.